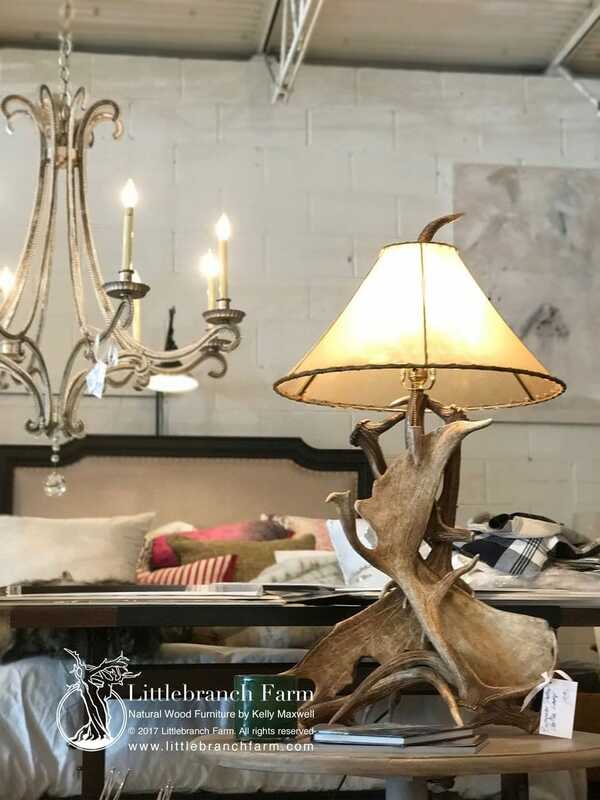 Rustic but chic antler table lamp! 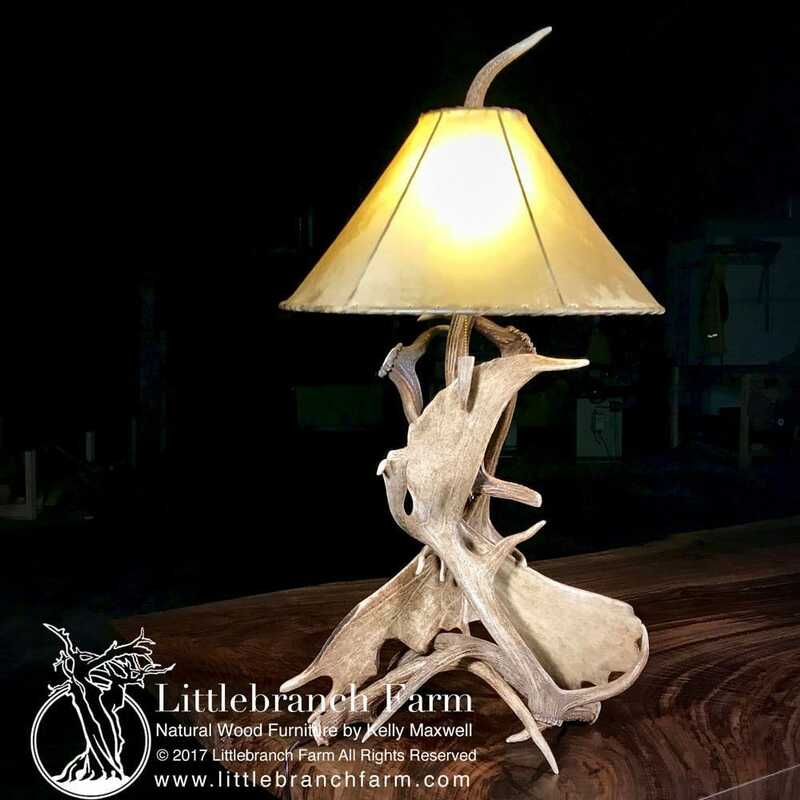 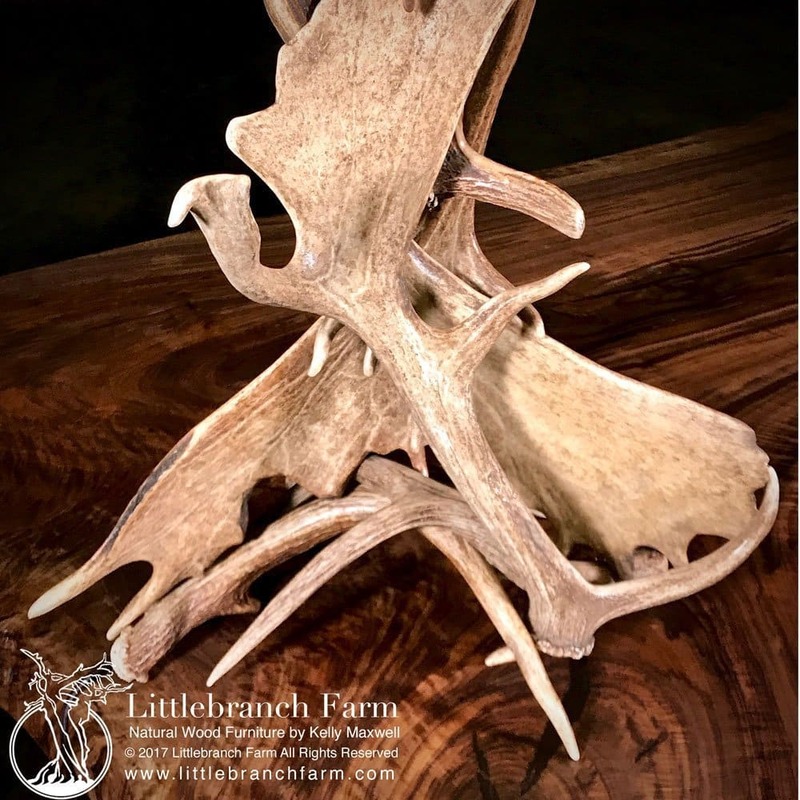 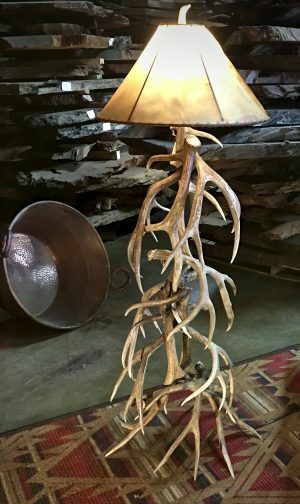 Custom antler table lamp built using naturally shed Fallow Deer and Mule Deer antlers. 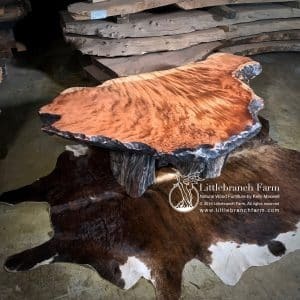 Also, each piece is one of a kind and made in the USA. 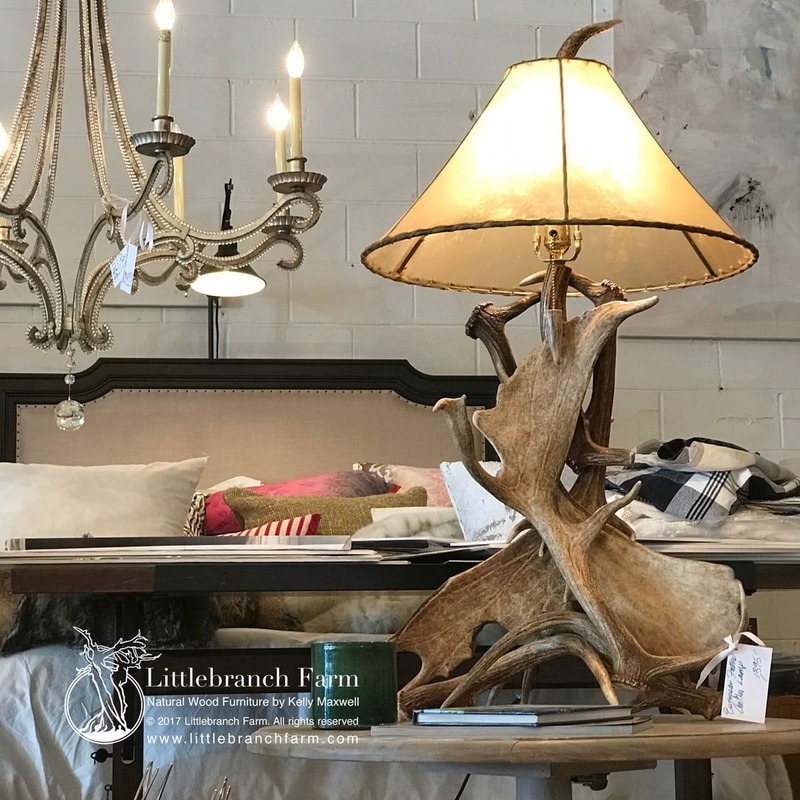 Our antler table lamps are always crafted from high-quality real antlers. 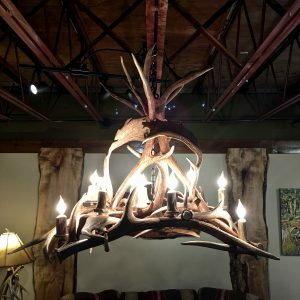 We never use or sale fack antlers in our lighting and wood furniture. 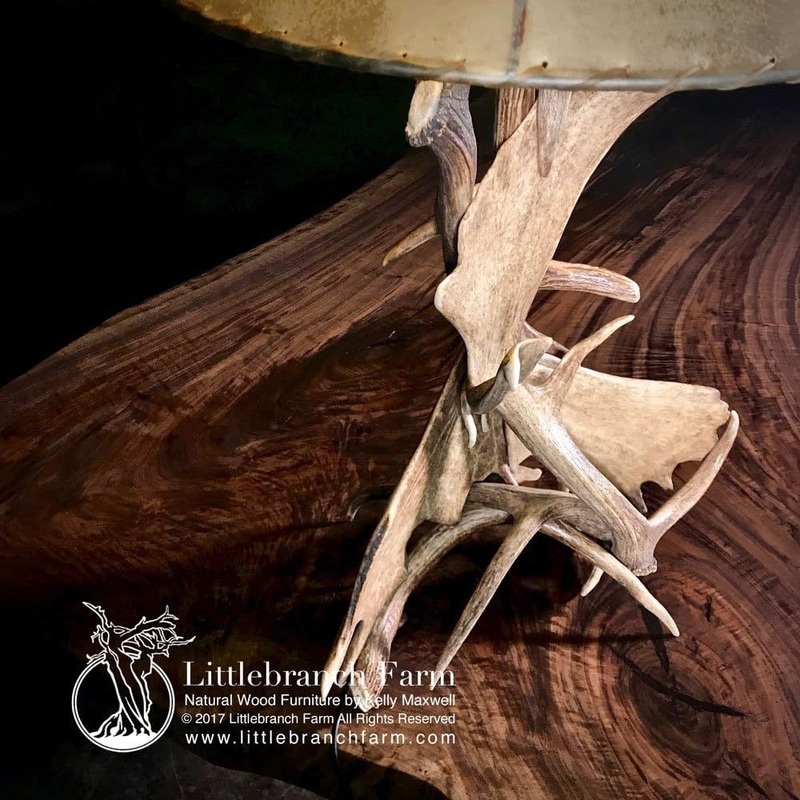 Because we craft using real antlers each lamp as with our custom furniture is one of a kind. 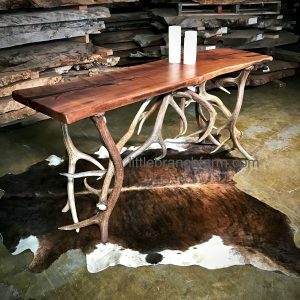 Free shipping within the continental USA.